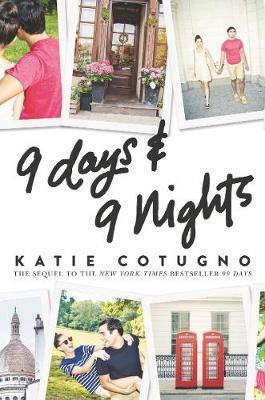 In this sequel to the New York Times bestseller 99 Days, perfect for fans of Jenny Han and Morgan Matson, Molly Barlow finds herself in Europe on her summer vacation, desperately trying to forget everything that happened a year ago. But over the course of nine days and nine nights, her whole life will be turned upside down once more. . . .
Molly Barlow isn't that girl anymore. A business major at her college in Boston, she's reinvented herself after everything that went down a year ago... After all the people she hurt and the family she tore apart. Slowly, life is getting back to normal. Molly has just said I love you to her new boyfriend, Ian, and they are off on a romantic European vacation together, starting with scenic London. But there on a tube platform, the past catches up to her in the form of Gabe, her ex, traveling on his own parallel vacation with new girlfriend Sadie. After comparing itineraries, Ian ends up extending an invite for Gabe and Sadie to join them on the next leg of their trip, to Ireland. And Molly and Gabe can't bring themselves to tell the truth about who they once were to each other to their new significant others. Now Molly has to spend 9 days and 9 nights with the boy she once loved, the boy whose heart she shredded, without Ian knowing. Will she make it through as new and improved Molly, or will everything that happened between her and Gabe come rushing back?